Food waste is a dizzyingly large global problem, as Vancouver filmmakers Jen Rustemeyer and husband Grant Baldwin discovered while making their documentary, Just Eat It: A Food Waste Story, a Vancouver International Film Festival Impact Award winner. “The Food and Agriculture Organization of the United Nations reports that a third of all food produced worldwide—about 1.3 billion tons—is wasted each year, as well as the resources, energy, water, and fuel that went into producing and transporting it,” says Rustemeyer. In Canada, she says, about 40 per cent of the food we produce is wasted, at a value of $27-billion. 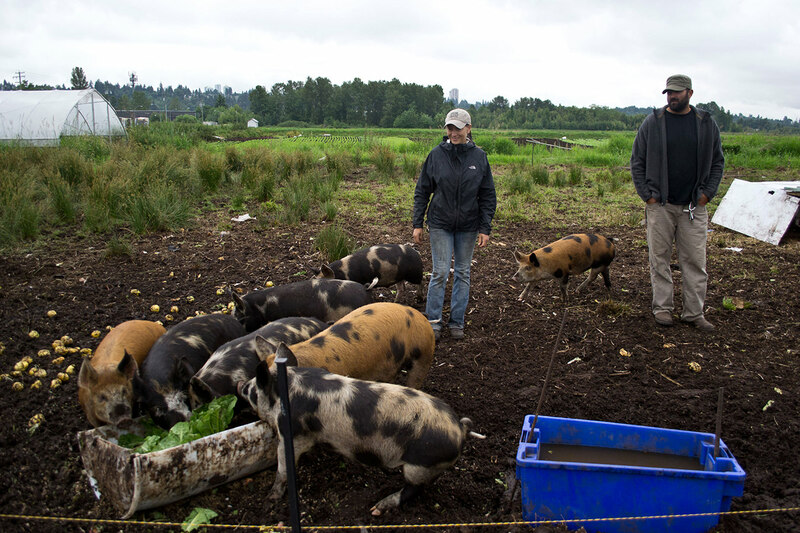 “Maybe we should only eat animals raised on food waste,” says Julia Smith. 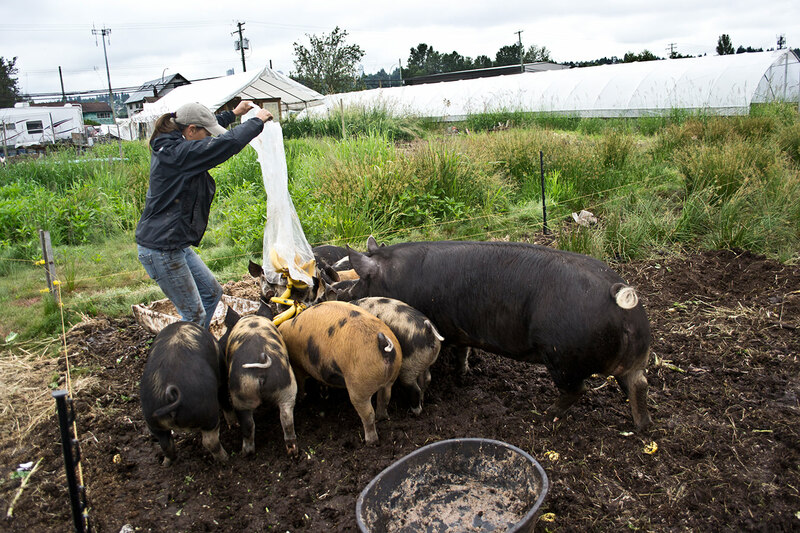 She is crouched next to her life and business partner Ludo Ferrari, who is giving a belly scratch to Squid, a Berkshire sow, as the enormous animal lays in the rich, peaty soil at Urban Digs Farm following a meal of yogurt, grains, apples, lettuce, and a special treat of bananas. Smith and Ferrari were unlikely farmers, but have enthusiastically embraced a holistic approach focused on animal welfare and sustainability. After 12 years running a web development company, Smith decided to embark on a new career that would allow her to spend more time outdoors in nature. 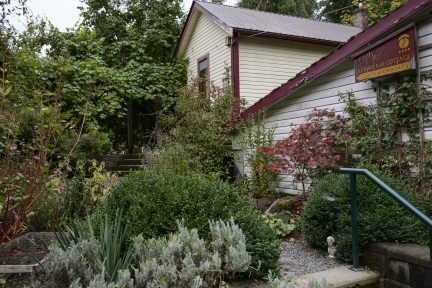 She began a geology degree, but in her third year discovered permaculture and redirected her efforts to complete a directive study in permaculture at UBC Farm. In 2011, Smith and Ferrari launched Urban Digs Farm. 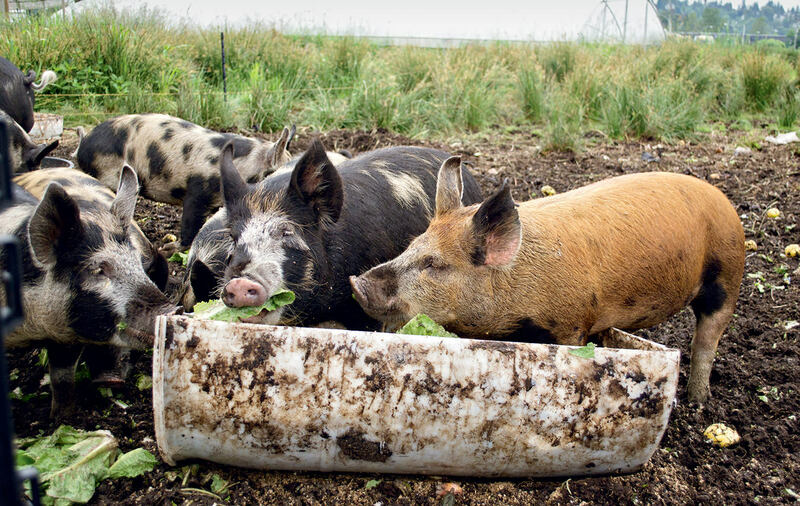 The animals at the farm have the freedom to carry out their natural behaviours (the pigs root, the chickens scratch, the ducks forage) and are fed a nutritious diet of castoff fruits, vegetables, and grains that would otherwise produce ozone-depleting methane gas if buried in a landfill. 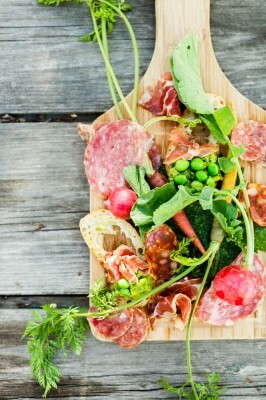 Aside from the happy animals producing incredible quality meat—which restaurants like Bishop’s, Forage, Burdock & Co., Cibo Trattoria, West, and the Fairmont Waterfront proudly serve on their menus—these natural behaviours, especially those of the pigs, serve the dual purpose of developing and enhancing the farmland for crops. “Animals are an important part of the agroecosystem,” says Smith. “Manure is an important input to our field crops. Most conventional farms are fertilizing with synthetic chemicals instead of composted manure. Our pigs also help eradicate invasive weed species, so they’re doing the work that would otherwise be controlled using chemical herbicides or fossil fuel–driven heavy machinery.” Incredibly, the pigs at Urban Digs Farm actually have a carbon positive footprint thanks to their food-upcycling, fertilizer-providing, machinery-replacing ways. 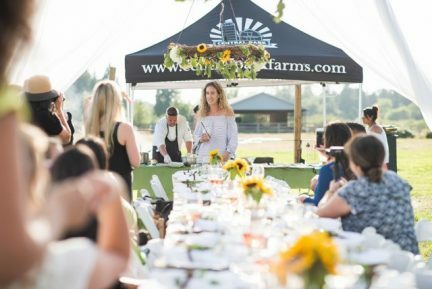 Both businesses and residents in Metro Vancouver will have to take a page from Urban Digs Farms’ waste-not book, as new food waste bylaws prohibiting organic waste from the trash go into effect in 2015. “As long as we’re throwing out nearly half our food, nobody can say good food is expensive,” says Smith, who encourages people to eat smaller portions of ethically, sustainability raised meat. Plus, “when you change how you value your food, you’re not going to waste as much”.